Tax season. A phrase that can make almost anyone roll their eyes and wonder how long they can procrastinate getting their returns together. I feel you. Taxes are confusing…and annoying! I am not a tax professional so this article is not intended as expert financial advice. I am, however, a WAHM with her own business who no longer dreads tax season because of a few practical tax tips I’ve implemented throughout the year! And since I’m not a CPA, these tips won’t necessarily help you double your tax refund but they will help keep your stress level low and ensure you’re not pulling out your hair by April 15th! Please be sure to consult with a licensed tax expert for any tax-related questions! Maybe you manage your stress much better than I, but historically, tax time has my stomach doing all sorts of flip flops. Mostly because the task feels so daunting and – probably like yourself – I don’t have a lot of extra time so the last thing I want to spend it on is preparing my taxes…yuck! 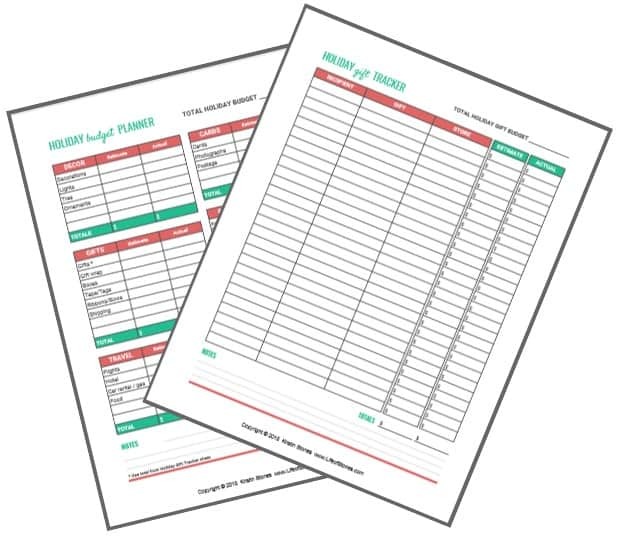 A few years back we had a small business (it didn’t make it, we closed it last year) and it was a nightmare when it came to accounting for everything at tax time…partially because I didn’t understand a lot of it and partially because I waited until the last minute to do a year’s worth of organizing! When I was preparing my taxes last year for my tax return and spending ALL. THE. TIME working on it I realized I had to do things differently for the next year. I sat down at the beginning of the year and took some time to set up some very basic systems that I could maintain throughout the year, which would allow me to quickly and easily pull all of my tax info together in a very short amount of time come tax season. 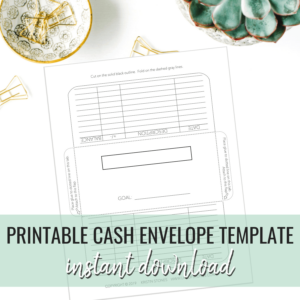 I stuck to this system all year and a few weeks ago I called my accountant, set up my tax appointment, sat at my computer and had everything ready to go in about only 15 minutes! 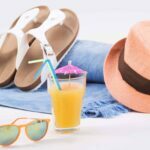 I want to share with you the few tweaks I’ve made to my monthly financial routine that has made all the difference in the world! These tips are “practical”, not expert, meaning these tax tips are more relevant to practice, not theory. They just make sense for the average person to put into practice and aren’t necessarily required steps for filing your tax return. Email can be a pain point for many people. While we might strive for an empty inbox and be distracted all day by the notifications on our phones, there is a very simple way to organize your account in preparation for tax season. Here’s what you do: Set up the new folders and throughout the day (or week) when you receive an email or receipt for an expense, take a second and drag it into the appropriate folder for safekeeping. This literally takes a second, so it’s easy to keep up with even if you are someone who receives a high-volume of emails! When you close your month or whenever you sit down to update your spreadsheets (we will talk about these in the next tip) you will have all the transactions you need in one place. I find it easiest to look through my email on my phone as I’m inputting the numbers into my spreadsheet. This spreadsheet tip is the cornerstone of my tax system. I’ll admit it, I’m a supernerd and my love for spreadsheets runs deep… but if you don’t share my affinity for gridlines, no worries, because this requires the most basic of spreadsheets to be functional! Choose your program – What’s your preference? Microsoft’s Excel? Google’s Sheets? Apple’s Numbers? It makes no difference! Wherever your comfort level lies will be just fine! Set up your spreadsheet – and be sure to title it the current year – you’ll likely want a new spreadsheet for each year – and create the following tabs (across the bottom): expenses, business expenses, income and mileage. Since I’m a small business owner (this site is my business) I’m sharing my system. If you don’t own a business, you’ll simply omit the business expenses in this system! Depending on your organizing preferences and amount of expenses, etc. you may prefer to create a separate spreadsheet for each of the tabs mentioned above. If you take this route, then you would want to make tabs for each month in the year. Maintaining your spreadsheet – You will need to decide what will work best for your schedule. For me, I add a block of time into my calendar at the very beginning of each month to close out the month before. I use that time block to enter all of my expenses, income, and mileage for the prior month into my spreadsheet. I add it in chronological order, but if you don’t that’s okay, you can always sort the data later. It may work better for you to add each transaction as it occurs, especially if you do not have your own business, but for me, this allows me to sit down and batch this task for the whole month saving me time by doing it all at once instead of hopping into my spreadsheet multiple time each week. Whatever schedule you decide on, consistency is key. A little time each week or month is what keeps you from having to spend a lot of time at the end of each year! This is applicable to those with their own business, however, if you have personal expenses you plan to deduct upon filing (like charitable expenses, energy efficiency upgrades, etc.) then this step applies to you too! Be sure to track your expenses. Don’t overcomplicate this! Simply determine the easiest way for you to consistently keep track of your expenses! Personally, I only use my spreadsheet. I create a column for date, expense, amount, account, and purpose. I write the expense total (if necessary, on the receipt) and store all paper receipts in one of these (and the emails in their appropriate folder). When I close out the month I enter all receipts on the spreadsheet and I’m all done until the next month end! Of course, if this system doesn’t sound simple to you, I suggest you adjust as needed. If this whole process does not feel almost effortless and easy to maintain, guess what?! You won’t stick to it! Then you’ll be stuck in the same cycle when tax season arrives. Watch the related video on my YouTube channel or click to watch below! Most people know they should be tracking and deducting business miles driven, yet surprisingly many people don’t bother doing so…probably because it’s a pain! I want to give you a few ideas to make this task more automatic for you. Tracking your mileage can feel tedious and many people will either estimate or not claim the deduction at all…that’s money you’re literally leaving in the government’s pocket! Grab a mileage log and keep it in your car (this is the key). Get into the habit of filling it out before you pull out of your garage and finish the entry before you exit the car after you’ve returned home. This will ensure you never miss a trip or log entry! Try a mileage tracking app like TripLog (get 20% off here) or Mile IQ (get 20% off here). I haven’t tried these personally, but it’s my understanding they are very helpful and can even give you a notification prompt where the app has already calculated your mileage and you just go in and note whether it was business or personal! Manually enter your info easily in a notebook or notes app on your phone. Be sure to include the date, beginning mileage, ending mileage, and purpose. Periodically throughout the year, be sure to enter this information on a spreadsheet for safekeeping (and easy access at year end). Some of the apps will even allow you to run reports you can print! Be sure to check with your accountant or the IRS website for the current standard mileage rates as they can fluctuate from year to year! This likely won’t apply to you if you are a straight W-2 employee, meaning each January your employer mails you a W-2 that you use to file your taxes. But if you are self-employed in any way it’s a good idea to track your income. As a blogger, I “earn” income in certain months that I don’t actually receive for weeks or even months later. Also, my income is either direct deposited or sent via PayPal with only an email notification so it becomes important to take the time to track the income myself! A simple spreadsheet with a few columns including date, company and amount does the trick! Then I add an extra column to mark the date I actually receive the payment. This helps me to know what income to claim since I only claim the income I actually receive in that calendar year. It also allows me to see, at a glance, if I have any outstanding payments I need to follow up on. This can be updated each time you receive a payment or you can simply add it to your month-end tasks. One thing that helped me keep better track of my finances was to open a separate business checking account. You can do this at your local bank and be sure to look for an account free of maintenance fees and balance requirements! Not only does this ensure your business and personal finances aren’t getting mixed up, but your account statements will reflect business transactions only making it very easy to check over to make sure nothing was missed! Depending on the nature of your business, it might be a good idea to also set up a separate business PayPal account. As a blogger, I make and receive a lot of payments via PayPal. Before I opened a separate account for my business it took extra time sorting through all the PayPal transactions each month to determine what was personal and what was business related. The few minutes this took to set up ended up saving me a substantial amount of time in the end! This can be a very touchy topic to many but in the end, you have to make the decision to decide what the best course of action is for you. I feel like it would be irresponsible of me to at least not touch on this because so many people truly do not understand this concept. When you are hired for a job, you are asked to fill out a W-4. On this form, you instruct your employer how much tax to withhold from your paycheck. At the end of the year when you file your taxes the IRS will look at the taxes you’ve already paid it, subtract your deductions and determine if you’ve overpaid or underpaid your taxes. If you’ve overpaid they will issue you a refund, if you’ve underpaid you must pay the into the IRS instead. Basically, if you’re owed a refund that means you’ve given the IRS more money over the course of the year than you needed to and essentially have given them a zero percent loan all year long…aren’t you sweet?! I can promise you, however, they are not as sweet when the situation is reversed. While I know the thought of possibly having to pay in to the government can be scary, it makes more sense to have that extra money in your pay all year long. A tax return is not a bonus. We always kept our withholdings super high so we were guaranteed to have a substantial refund each year, and in hindsight, it probably wasn’t the worst idea considering our past money management habits. Moving forward we plan on adjusting our withholdings with the goal of trying to break even at tax time. This will allow us to get the extra money in our paycheck and actually put it to work for us. We will be able to invest it in our high yield savings account and earn interest instead of the IRS having our money all year and not paying us interest! I hope you found this system helpful and easy to implement! Let me know in the comments if you have any good tax tips and tricks you swear by! 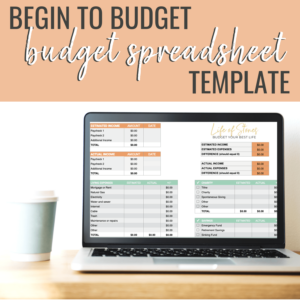 And if you’re a spreadsheet geek like myself, don’t forget to check out my Simple Budget Spreadsheet Template I just launched!